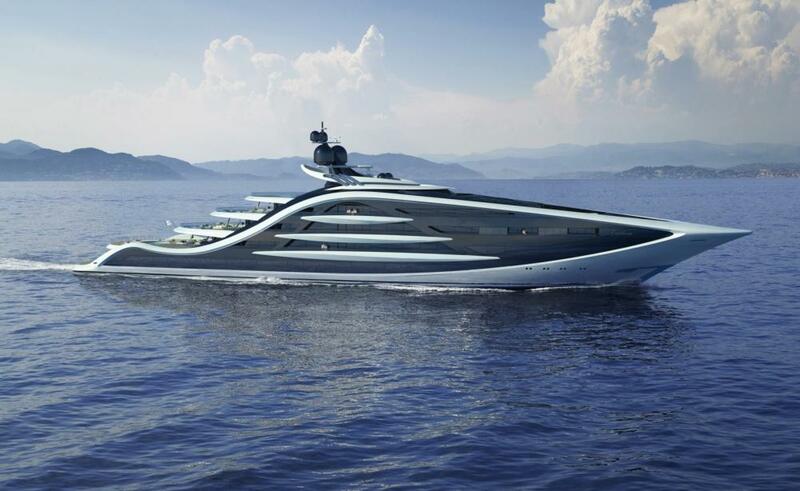 UK-based designer Andy Waugh presented his latest superyacht concept Epiphany. 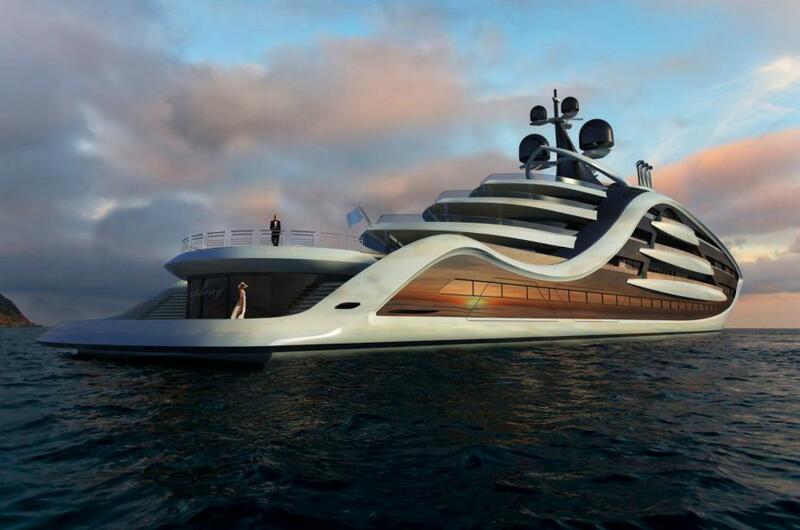 Measuring 130m, the vessel features a unique silhouette and a bold exterior. The concept uses the minimum of styling lines and structures creating an elegant effect belying its practicality and large volumes of accommodation. The bridge of the vessel is situated on the upper deck providing commanding views, a fold down wing-bridge is utilized to retain the pure aesthetic of the rising bulwark. The owner’s deck is vast with stateroom featuring an increased ceiling height with skylights and open views towards a private foredeck with seating areas and a Jacuzzi. Aft on this deck there is an owner’s private cinema as well as an office with space adjacent for personal assistants or important staff members. Below the owner’s deck is a unique ‘VIP deck’ housing 4 huge cabins each with private balconies. Other alluring features include a cinema and gaming area as well as a fully equipped gym and spa. 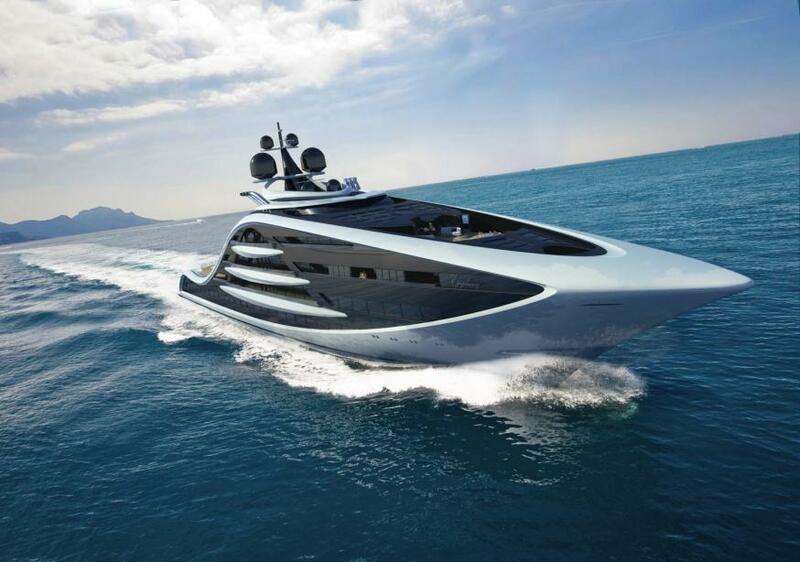 The main bar opens up onto the aft deck accommodating al fresco dining area. Low bulwarks and full height glass are providing guests with an enhanced sense of openness and space. 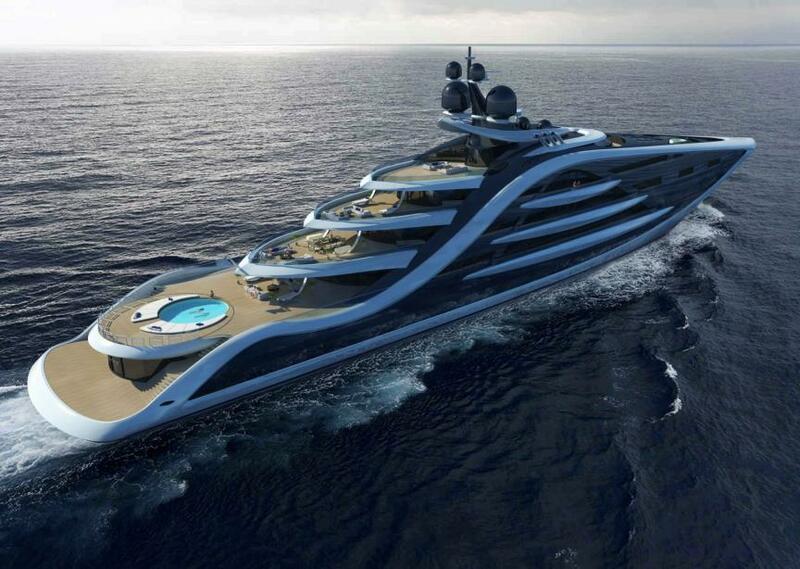 The aft deck hosts the main swimming pool and sun lounging area which converts into a helipad if required. In total there are two additional VIP cabins on this deck along with a further eight guest cabins. A beach club and tender stowage are on the lower deck along with a dive room and crew accommodation towards the bow. The crew areas include a dedicated officer’s mess and security office along with cabins for around forty crew. Epiphany stands out from the crowd not only because of her unique and distinctive aesthetic but also because of the layout which limits crew areas to the very upper and lower decks. This allows a great deal of freedom to optimize the guest accommodation.